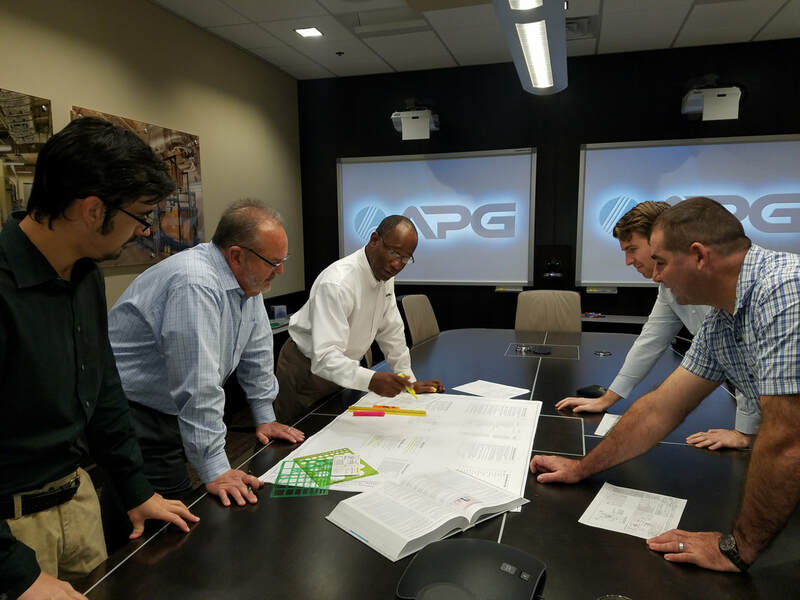 With a full house of design and construction professionals, APG is your trusted partner to bring all the pieces together for truly turnkey electrical and low voltage solutions. By embracing collaborative delivery methods, we deliver projects that are more cost efficient, fully functional, and completed faster. Embracing Design-Build (DB), Design-Assist (DA), and Integrated Project Delivery (IPD), APG works directly with our customers to execute projects from conceptual design through construction closeout. By working flexibly and attentively with the project team, we ensure all objectives are met. Seamless results are achieved by utilizing our fully integrated array of services, all housed under a single roof. With specialists in power and lighting, data-com, security, life safety, and audio/visual systems, APG is a one-stop-shop for design and delivery of all your needs. With a full-service Engineering group, APG has a large team of professional engineers, RCDDs, and designers for all MEPT systems. Designers participate in projects from their very inception, consulting with owners, builders, suppliers and other team members to ensure systems are designed and built to meet performance requirements. To meet cost and scheduling objectives, our team of engineers, estimators and project managers are involved in every detail of planning, purchasing, data processing and crew allocation. Our ability to coordinate and execute all aspects of design and construction result in projects that consistently meet client objectives. Single-source design and construction ensures that APG’s projects are executed as planned. Our design and construction professionals work as a team, evaluating candidate solutions for performance and constructability and performing value engineering to reduce project costs. We can also design to a target value to get the most out of your budget. When in the construction phase, we can purchase commodity materials at a lower rate with increased purchasing power between all of the systems. Further, you can expect vastly reduced change orders as collaborative delivery methods ensure design input from the construction team before the building begins. Because our designers and builders are involved in projects from the outset, APG can procure materials and begin construction before plans are completed. The elimination of bidding and redesign further reduces design and construction time, resulting in lower project costs and earlier utilization of the system. During design and construction, customers don’t need to invest time and expense coordinating and arbitrating between designers and contractors. Communication is easier and unanswered RFIs are eliminated, reducing delays.